One of the great original features of the Galaxy Note series has always been the smartphone stylus. In recent years, Samsung has been a bit stingy with new features. But that could be about to change and, the next generation Galaxy Note could have a few more spells in its magic wand. Well-known tech leaker Ice universe is getting excited about the Galaxy Note 9's S-Pen on Twitter. In the tweet, the often-reliable tipster promises that the new S-Pen will be worth waiting for. What exactly should it bring? While the exact functionality is not yet known, that hasn't stopped eager fans from speculating. We have a few ideas of our own, of course. For example, there are several indications that the S-Pen will probably be equipped with Bluetooth this year. That's a lot of hype, but Ice universe is no Samsung sycophant, so it's almost certain we can look forward to something substantial. But what exactly does 'a soul' mean in this context? One can imagine, for example, the possibility of making calls via the S-Pen with integrated microphone and speaker or writing directly on paper and then automatically transferring the typed text to the smartphone. Another interesting idea is the possibility of the S-Pen having its own rechargeable battery. This could be the cryptic 'soul' referred to by Ice universe. An S-Pen equipped with its own battery could be used as a remote control or to take pictures remotely. With the high-end smartphone market becoming increasingly crowded with similar-looking devices, Samsung would do well to double down on features that only it can offer. 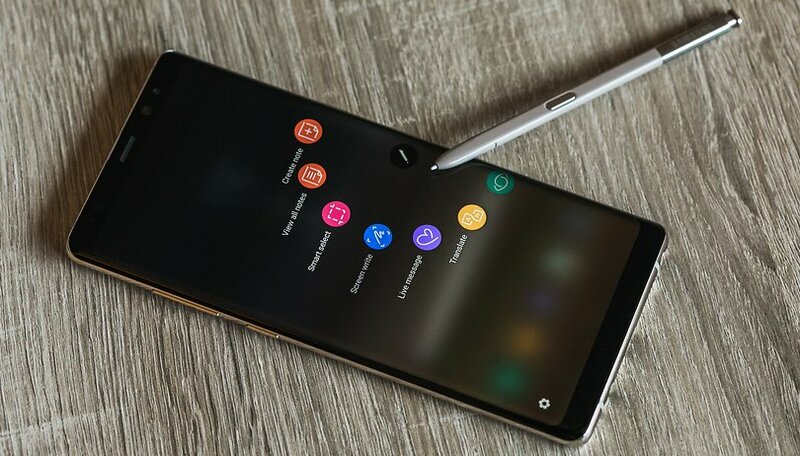 The S-Pen remains one of the unique offerings from Samsung (sure, other stylus options exist, but none as full-featured as the S-Pen), so a revamped stylus might be just what the Note 9 needs to be Samsung's secret weapon. Do you use the S-Pen? What features do you think the next one should have? I had the Note1 "back in the day"...don't think I used the pen (more of a stylus back then)...more than a couple times. I'm hoping it charges the battery when it's inside the Note. Not a chance I'd charge an S-Pen separately from the phone.